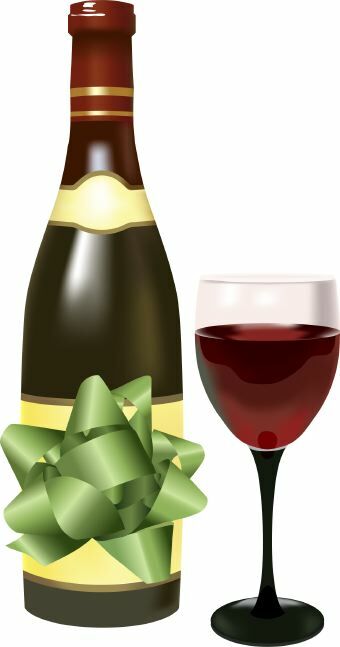 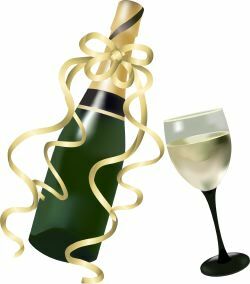 Clip art of bottle of red wine with green ribbon bow and glass of wine. 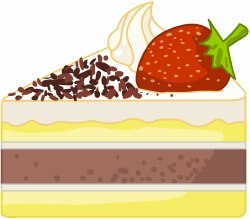 Clip art of a cupcake decorated as a birthday cake with white frosting, colorful sprinkles, and a birthday candle. 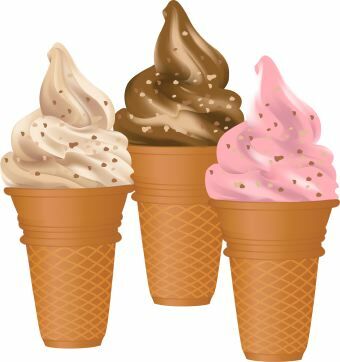 Clip art of three ice cream cones with vanilla, chocolate, and strawberry ice cream covered with sprinkles. 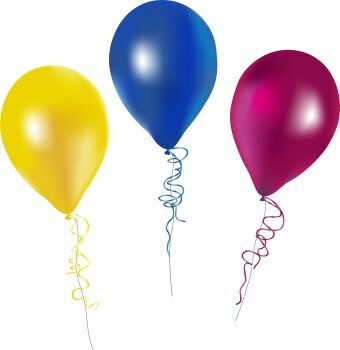 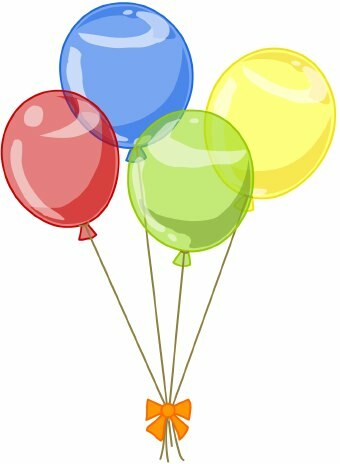 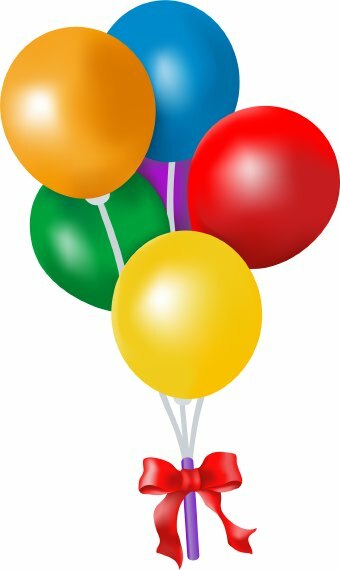 Clip art of three yellow, blue, and red balloons with matching ribbons. 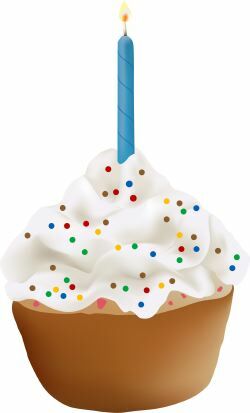 Clip art of an ice cream sundae with chocolate sauce, whipped cream, and a red cherry in a fountain glass. 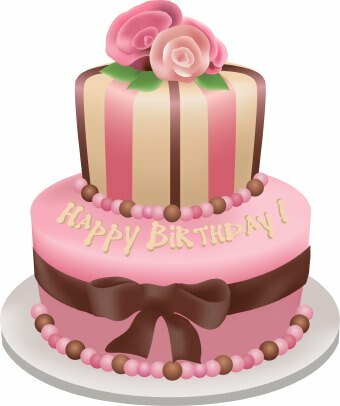 Clip art of an elegant birthday cake with pink roses and a big bow. 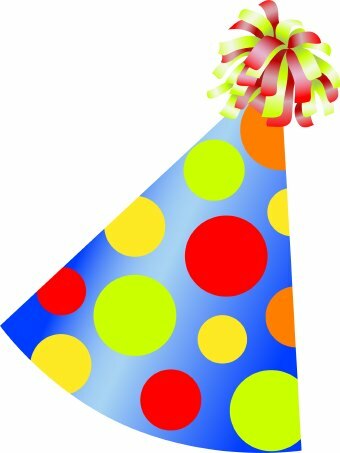 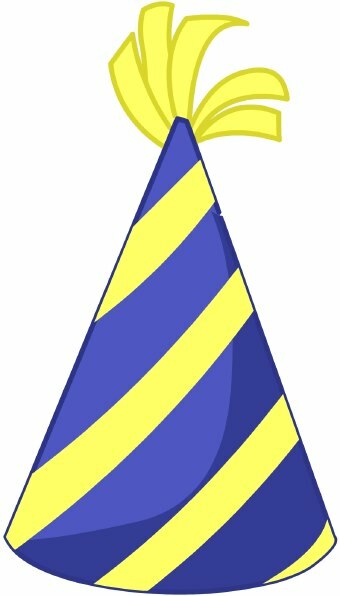 Clip art of a colorful conical birthday party hat with polka dots and a pom-pom on top. 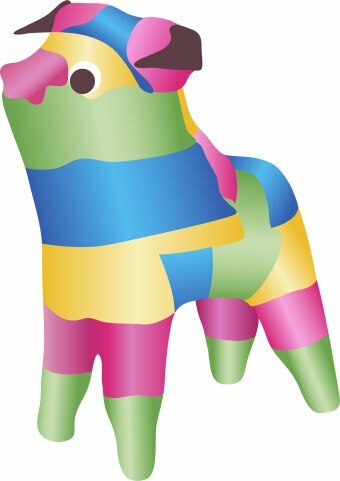 Clip art of a colorful piñata for a birthday party. 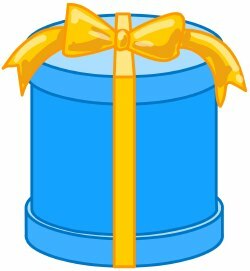 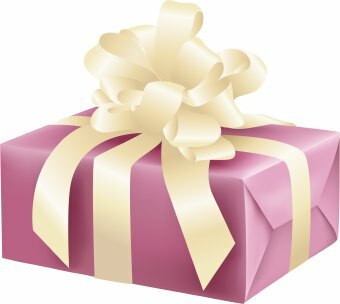 Clip art of an elegantly wrapped birthday gift.